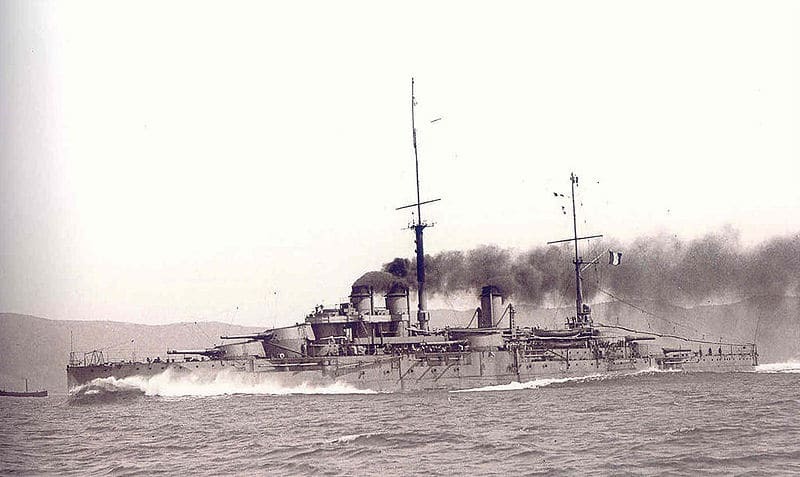 The Four Courbet class were the first French monocaliber type battleships to enter service. They were started late, pending the scheduled completion of six Danton. This delay was considered unfortunate in this new race for dreadnoughts that began in 1906. But the 1912 program, established by Admiral Boue de Lapeyrère had the ambitions to give France twelve other dreadnoughts before 1918. The war would decide otherwise. The Courbet class counted four ships, Courbet and Jean Bart of the first batch, both began in 1910 in Brest, launched and completed in 1913 and the other two, France and Paris, at St Nazaire and La Seyne in Toulon. These were not operational in August 1914, as hostilities just started: France aligned to that date only two dreadnoughts against 13 for Hochseeflotte and 22 to the Royal Navy. The Courbet were designed by engineer Lyasse, these ships were much better armoured than the Danton, but still less than equivalent British, American, and German units. 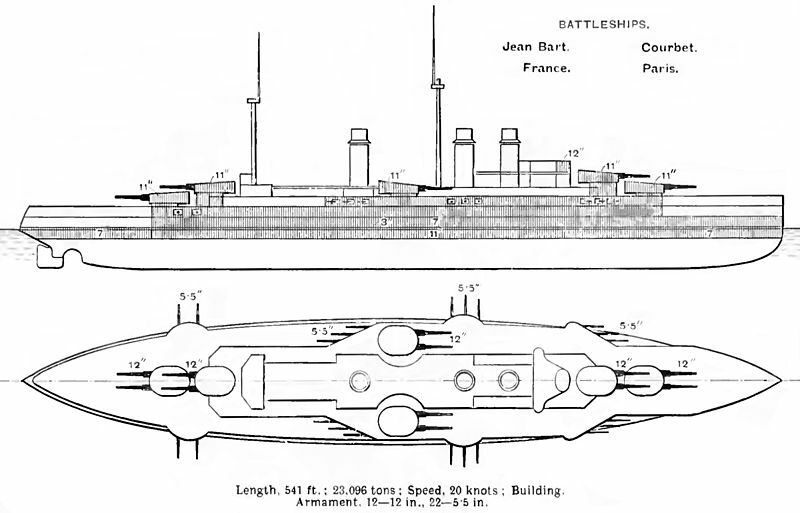 Their artillery configuration showed an early conventional layout given a trademark of French battleships, which gave a strong battery for chasing or in retreat respectively of 8 and 10 guns, for 12 in total. But in 1914, the 305 mm caliber had been exceeded already for some years and it was moving towards the 343 mm caliber planned for Britain established emergency on the same basis. The Courbet were recognizable to their three chimneys separated by their mainmast. Secondary armament remained below the standard caliber of other marine (152 mm) and anti-torpedo artillery was modest. But these 138 mm in barbettes just filled the role of anti-torpedo defense with much faster firing pace. 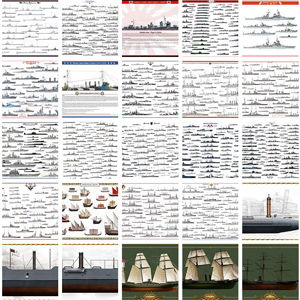 Relatively good steamers, these battleships reached 22.6 knots. Shells provisions were 100 rounds for each 305 mm piece and 275 rounds for each 138 mm. They were also fitted to lay down 30 mines. The four Courbet were sent to the Mediterranean in 1914 (the Paris there was already conducting its first operational missions). The Courbet became flagship of Admiral Lapeyrère, and two additional spotlight were added on the platforms on the second fire station. These five ships served intensely, the Jean Bart conceding a torpedo from U-12 in December 1914 in the Adriatic, but without much damage. 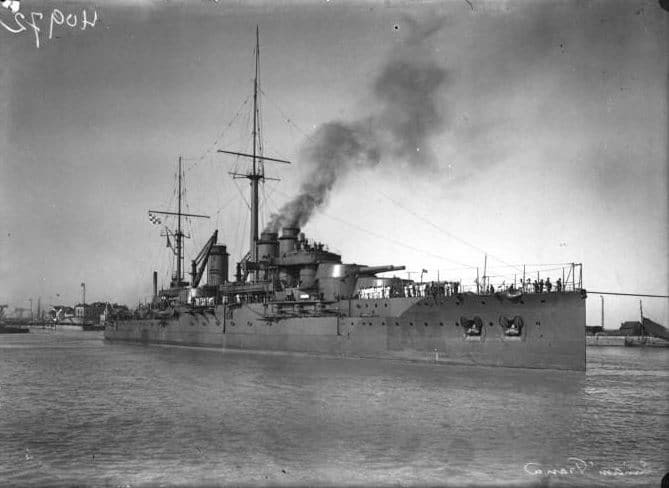 France and Jean Bart were also sent to Sevastopol, to fight the “red” in 1919. At that time, the four existing ships were now obsolete, pending modernization. It was observed that their front deck was subject to plough water by heavy weather, but it was not possible to have them lengthened because of the lack of suitable dock. 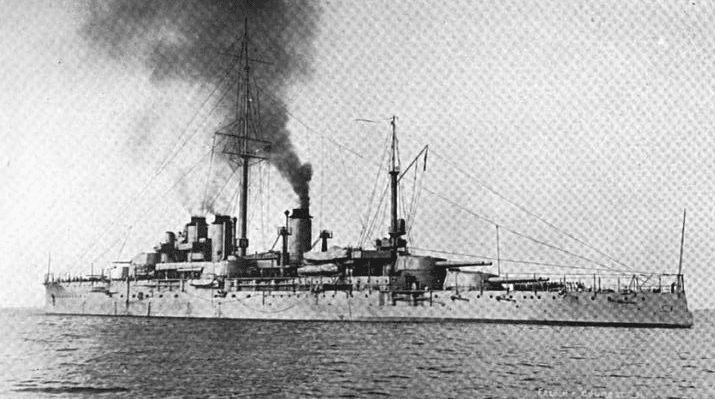 France hit a reef and sank in 1922 near Quiberon, and the other three, partially modernized, served as a training ships in 1939. 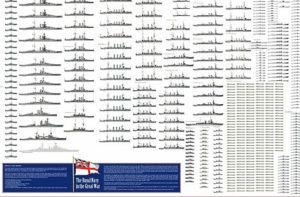 Specs Conway’s all the world fighting ships 1860-1907. 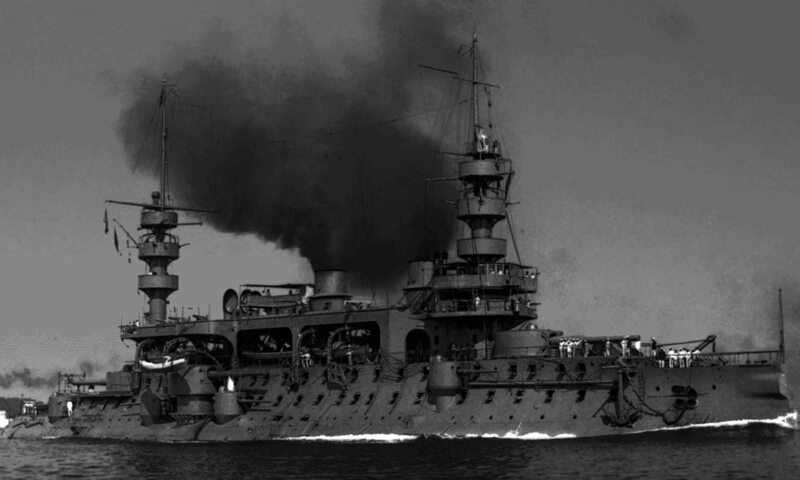 The three battleships of the Courbet class had been the battleships dreadnoughts (or monocaliber) of the French navy. This class included at the time besides Courbet, Paris, Ocean, and France. They participated actively in the Great War and survived. In peacetime, in 1922, France sank off Quiberon bay on an unlisted reef. The other three were extensively modernized in 1926-29. However, no major changes subsequently took place and in September 1939 they were still “in their own juice”. These modifications included three funnels passing to two (with new oil boilers), two new masts of which one forward tripod, much more sturdy will be installed, as well as new rangefinders. The order transmission systems will be modernized. Finally, the elevation of their main guns will be greatly improved, extending their range. They also received additional AAA in the form of seven 76 mm guns and two 45 mm guns. Finally the Courbet, whose machinery was the oldest and obsolete, received new engines taken from the stock provided for cancelled battleships of the Normandy class, whose design was old (1913) but at least used oil-fired boilers. ASW protection was improved. 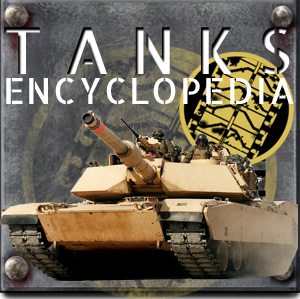 With their outdated artillery disposition, low-caliber in 1940 (305 mm while the standard was now between 356 and 406 mm), and their obsolete AA firing system in 1939, these vessels could not be compared to the Italian or British modernized battleships in capabilities. 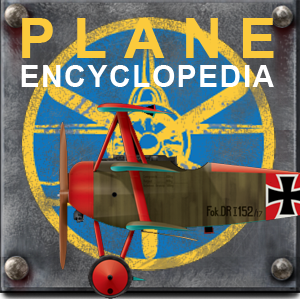 Their role was therefore reduced in operations. Battleship Courbet in 1935 (wikimedia CC). The Ocean was renamed Jean Bart in 1936 and partially disarmed in 1938 to serve as a training ship in Toulon. 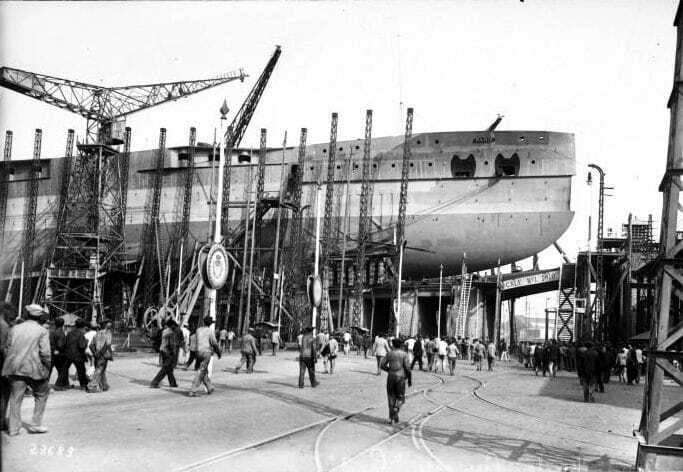 She was not scuttled in November 1942, but was destroyed in an allied raid in 1944 (Operation Anvil), while the Germans completed the destruction by testing explosives. Courbet and Paris, because of their same obsolescence, had been provisionally paid as training ships in 1939, but were put back on active service in the Fifth Fleet (Admiral Mord) in May 1940. Their mission was to try to pound German forces approaching from Cherbourg. They covered the evacuation of the city, as well as that of Le Havre, but were criticized for their weak AA defense. They were able to take refuge in Portsmouth in June 1940. During Operation Catapult in July both were successfully captured by Royal Navy troops and their crews were interned. Later, Courbet will be transferred to the Free French. She will be rearmed and will serve as a floating HQ, ship-barracks and floating anti-aircraft battery, with Paris becoming a floating depot. Courbet will be disarmed in 1941 and will serve as a depot at Portsmouth. In 1945, Paris returned to end her career in Brest as a depot ship and floating barrack, before being sold to a shipbreaker in 1947, as the Courbet. Battleship paris full steam, 1914. Photo Marius bar coll. The France in 1914. Notice the hoists heavy torpedo nets, abandoned some time later.